We all have certain lifestyle aspirations: a couple of blue-sky holidays a year, a new car every three years, and a nice house in a good neighborhood. But accruing enough cash to provide a useful reserve to pay for all of this isn’t always easy, especially if you don’t have a well-paid job. One way to fund your dream lifestyle is by trading on the forex markets. If this sounds appealing, read on for some useful tips. Forex trading is a risky business. If you are risk-averse, forex trading is not for you. Instead, put your savings into a regular savings account or pay extra into your retirement plan. Both are sensible savings plans for anyone with a family to support. There are plenty of low-risk savings policies on the market, but make sure you pay down your debt first. If you don’t have a family to support and risk doesn’t scare you in the slightest, forex trading could present an exciting opportunity to make excellent returns on your capital. It can be risky and there is no guarantee you will make money, but as long as you approach the venture with the right attitude, forex trading is a fun hobby and a great way to make your savings work a bit harder. Ask most people ‘what is forex’ and they only have a vague idea of what it is and how it works. In fact, forex trading is a lot simpler than you think. Forex traders speculate on the price of currency pairs. It is the most exciting financial market in the world, with more than $5 trillion traded each day. Anyone can trade forex. You don’t need to work for an investment bank and you don’t need any special skills. As long as you have an analytical mind, a computer, and a fast internet connection, you are good to go. You buy one currency and sell it when it when the price against a second currency moves in your favor. 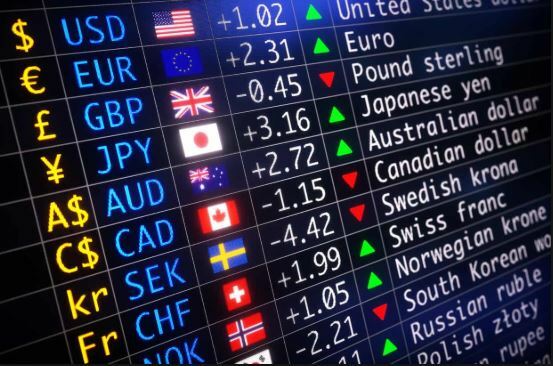 Forex traders work with currency pairs, for example, EUR/USD or GBP/USD. Open a demo account with an online broker and get started. Learn more about spreads, leverage, long and short trades. It’s not as difficult as you might think. The key to success is understanding the terminology and getting a feel for the currency markets. Exchange rates are susceptible to a number of things, including economic data, political upheaval, conflict, and natural disasters. Successful traders know the markets and can predict which way a currency price will move. To begin with, follow successful traders on social sites such as eToro. Learn how they do things and follow their trading strategies. Put these strategies to work in your own trading account and see how you fare. Once you are making consistent wins in your trades, upgrade to a real trading account and start playing the markets for real. As long as you don’t deposit your life savings in your trading account, any extra money you make can be used to fund your lifestyle. « Altcoin Or Bitcoin, Where To Invest?